The Liturgical Movement, chiefly under Jungmann’s influence, had turned the liturgy into a battleground of rivalry between God and man as to who should have the greater glory. The winner of this tug-of-war was revealed in 1969 with the introduction of the Novus Ordo Mass. This new rite of Mass was an entirely man-made artefact whose designers wanted to exalt human values (“active participation,” self-expression, “work of human hands,” gift offerings from the people etc.) at the expense of the divine (Christ’s Sacrifice, the forgiveness of sins, the Real Presence). This reveals two noteworthy aspects of the reformers who produced the New Mass. 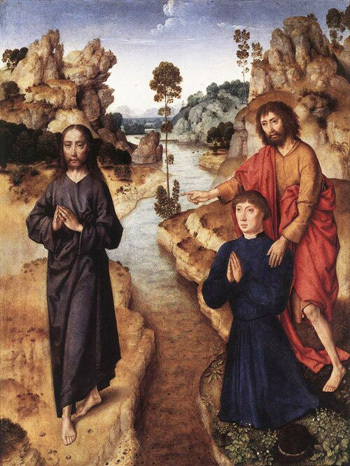 They did not take to heart the words of St. John the Baptist: “He [Christ] must increase and I must decrease.” (Jn 3:30) And they displayed a fundamental distaste, even revulsion, for the sacred, authoritative nature of liturgical tradition. The ensuing revolution in the liturgy has, as would be expected, produced noticeable effects in secularizing the Catholic Church. It has accomplished this by overturning the internal order of the souls of those whose spirituality had been formed in the traditional rites, making them lose the sense of the supernatural that their forebears in the Faith made every effort to encourage. The evidence for this is all around us that it is the people, not God, who are the center of the liturgy. It is an incontrovertible fact that, generally speaking, modern Catholics routinely talk and laugh aloud in church; they no longer genuflect before the tabernacle, and the habit of visiting the church to pray before the Blessed Sacrament has fallen into demise. In fact, they ignore Jesus present in the tabernacle, preferring to greet each other instead. They have no inhibitions about handling sacred vessels, even consecrated Hosts, or parading themselves in the sanctuary during Mass, and are comfortable with casual and immodest dress in church. All this and much more came about not at the instigation of the laity, but with the connivance and encouragement of the clergy. “An enemy hath done this”, we are told, “while men were asleep” (Mat 13: 24-30). It was only when “the blade had grown up and had borne fruit” in the Novus Ordo that it became clear that the traditional Faith had been over-sown by a “new understanding” of the Mass. The unique honor due to God had been virtually written out of the script, and His place usurped by man, who was to be the centre of attention and whose participation was considered essential to the rites. Who sowed this anthropomorphic cockle among the wheat in the field of the liturgy? Although he had many helpers, and was certainly not the first to do so, Jungmann, by the sheer volume of his writings, should go down in history as the main disseminator of the man-centered liturgy stripped of mystery, awe and reverence. Jungmann’s role in this desacralization process is of the greatest significance. 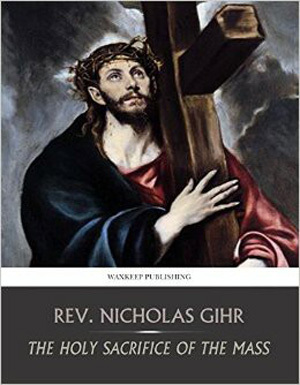 In his highly influential work on the history of the Mass, and under cover of historical research, he devoted a whole section to the vilification of the medieval liturgy, which he presented as corrupt and decadent. His real purpose seems not to have been to give an accurate account of the historical data according to the standard of Catholic truth, but to smuggle in his own preconceived ideas – which many liturgists simply adopted without argument. But, nothing in the traditional liturgy, not even the sacred Canon, was sacrosanct to Jungmann and the leaders of the Liturgical Movement. Far from finding it attractive, they not only subjected it to “rude [i.e. rough, insensitive] handling” by violating its dignity, but scorned the piety of the faithful who assisted at it with the greatest devotion throughout the centuries. As for the “allegorical” tradition of interpreting the liturgy that had served the Church so well since its beginning, Jungmann torpedoed it below the waterline by subtly subjecting the liturgy to the “historical-critical” method of analysis. This method had arisen during the era of the “Enlightenment” which was generally hostile toward the Church, (3) and also from Protestant biblical exegesis. In so doing, he and his colleagues broke the hermeneutical continuity of the liturgy and isolated themselves from the Church’s past. For the “allegorical” interpretation provides an epistemological bridge between ancient and modern times enabling all generations of Catholics to understand the Mass in the same sense. In other words, in the traditional liturgy, there is nothing merely exterior. Every detail of the ceremonies and decor is expressive of both higher, supernatural realities and the inner, spiritual life so as to direct the minds of the faithful to what is invisible, divine and eternal. It was this “mystic veil” that Jungmann (and before him leaders of the Protestant Reformation) (7) wanted to tear away as nothing more than a mythical smokescreen obscuring a more mundane reality that, in the opinion of some, could only be uncovered by historical investigation. Once applied to the whole area of the liturgy, this method of historical criticism permeates everything sacred, displaces the previous method of interpretation and finally changes the perception of the Faith. In the next article we will give examples of the bad fruits of the “historical-critical” method as they manifested themselves in the reformed liturgy of Paul VI. It might be helpful to know that the word “allegory” is derived from a combination of two Greek words: agoreuo: to say/speak publicly in the agora – a gathering place or assembly – and allos: other. The term came to denote how we can explain the “other” i.e. the higher or mystical meaning of a text or ceremony that is not immediately evident to the eye or ear. Francis Gasquet and Edmund Bishop, Edward VI and the Book of Common Prayer, London: John Hodles, 1890, p. 183. 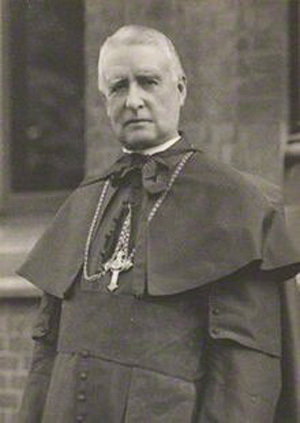 Having served as Prior of Downside Abbey, Gasquet was elected Abbot President of the English Benedictines in 1900 and was made a Cardinal in 1914. As a member of the Pontifical Commission to study the validity of the Anglican ordinations (1896), he made a major contribution to the drafting of Leo XIII’s Bull Apostolicae Curae, on the invalidity of Anglican orders. It was in this period that the Synod of Pistoia was held, which, significantly, proposed many liturgical reforms that prefigure those of Vatican II. Summa Theologica, II. I, q. 99 a. 3. Fr Nicholas Gihr, The Holy Sacrifice Dogmatically, Liturgically and Ascetically Explained, Freiburg: Herder, 1902, p. 336. Allegorical interpretation of the Bible and the liturgy came under sustained attack during the 16th century from both Humanists and Protestants. Their fundamental objection was the authority of the Catholic Church in the area of exegesis.